The December ice storm caused havoc on Ontario’s electricity grid, affecting homes, transit systems, healthcare facilities and other community resources. Over 300,000 hydro customers were impacted and, unfortunately, many spent Christmas cold and in the dark. Thankfully, these incidents are extremely rare in Canada, where we have affordable and reliable access to electricity. Unfortunately, much of the developing world struggles with providing such access to electricity. Globally, 2.4 billion people do not have reliable electricity access at home, 1 billion use health services without access and over 291 million children go to primary schools without access. This lack of electricity adversely affects healthcare, education and other services that are fundamental to the alleviation of poverty and to improved quality of life. Jason Gray and Andy Moon, co-founders of MaRS client SunFarmer, have developed an innovative rent-to-own business model to provide solar energy to communities around the world. SunFarmer partners with local companies to install solar energy systems. Instead of paying for unreliable grid power or diesel, clinics and schools make monthly payments toward the purchase of the energy system. Projects pay back funds over approximately 10 years, whereupon SunFarmer recycles funds into a new project. SunFarmer is aiming to raise $25,000 through an Indiegogo campaign to finance solar energy on several health posts in western Nepal. The first three health posts service 18,163 people and provide basic health services. The health posts presently have no grid access or functioning generators. As such, they use kerosene and battery-powered flashlights when available to assist with childbirth and they attempt to sterilize equipment using dumpling steamers, which do not get to a sufficiently high temperature to achieve sterilization. These projects are part of SunFarmer’s broader strategy of raising $5 million in funding to finance 100 sites around the world. Based on current plans, this money will help 75 hospitals and 25 schools, impacting over 225,000 patients and 12,500 students. All told, 450 communities will have the ability to access electricity and significantly improve their livelihoods. I sat down with Jason Gray, co-founder and managing director of SunFarmer, to discuss his business and to get some advice for up-and-coming entrepreneurs. You first engaged with MaRS through the Centre for Impact Investing’s Impact8 program. How did you find the program? We were familiar with the great support and mentoring that MaRS provides to startups in Ontario and often used the resources and read the blogs on the MaRS website. Through this frequent use, we came across the launch of the Impact8 program and we were excited about the possibility of connecting with other social impact entrepreneurs. We applied right away and were thrilled to have been selected. The opportunity to connect with other social entrepreneurs, take part in workshops and receive dedicated mentoring provided huge benefits to SunFarmer. Andy and I had the opportunity to work together at SunEdison, a global leader in solar development, on several industry firsts in terms of project development and financing in Canada, the United States and Europe. 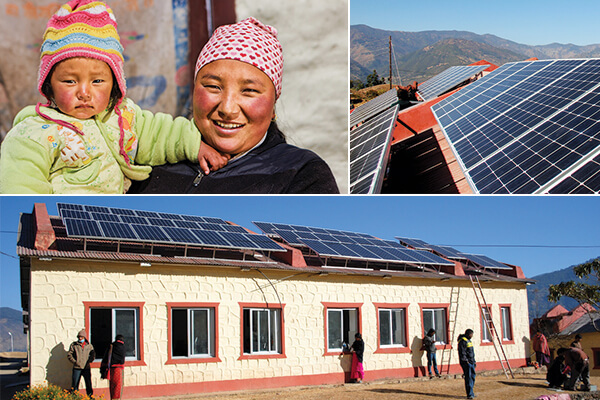 These experiences ingrained in us the importance of having access to affordable capital to enable solar energy. Sunshine is free, so the costs of solar energy are essentially all upfront. Through SunFarmer’s rent-to-own model, we eliminate this upfront cost and replace it with affordable monthly payments. In the Canadian context, think of getting a loan for a car or other big purchase. The result is electricity that is not only cheaper, but also more reliable than local alternatives. What is the biggest challenge that SunFarmer is facing? Thirty-five percent of humanity lacks access to reliable energy, so, sadly, demand for our services is not a concern. What is a challenge is convincing the other 65% that supporting energy access initiatives is a way of bringing lasting and sustainable change to developing countries. As we all know, health, education and economic development all require access to affordable and reliable energy. Distributed solar can provide this now—it is cost competitive, scalable and, most importantly, reliable. What remains to be solved is financing. People and institutions are concerned that developing country markets have poor credit and are too high risk to lend into. We see this differently. Many already pay for electricity that is far more expensive and unreliable than solar and have done so for many years. 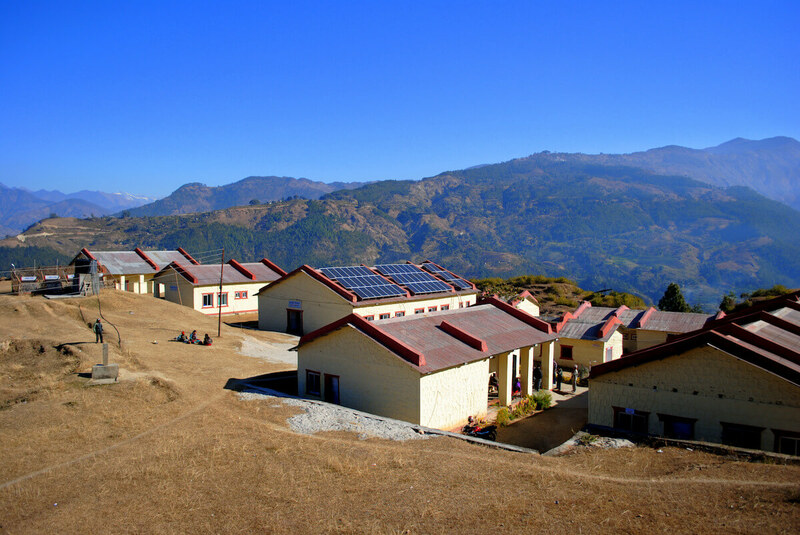 We recently visited a 25-bed hospital in Nepal that pays over US$35,000 for diesel each year. The equivalent solar system would cost them less than US$19,000 per year. What are the top three pieces of advice that you wish you knew five to 10 years ago? There is no better time than now. Don’t wait for the perfect time to launch an idea or make a change—the perfect time does not exist. People like stories more than they like PowerPoint decks and spreadsheets. Becoming a good storyteller is critical to gaining buy-in and support of an idea. It’s OK to fail. You hear it all of the time, but it is tough to fully embrace. No one likes failing—especially in front of others—but failure helps you test assumptions, prevents you from wasting time and gets you closer to the right solution.